Under CEO Bill McNabb, the pioneer of index investing is launching a new, computer-based advisory service that threatens to turn the entire financial advice business on its head. Investment adviser Richard Ferri is a Vanguard Group evangelist. Twenty years ago, when he worked for Smith Barney, he asked then-­president Jamie Dimon for permission to create a low-cost index advisory program. At the time, Smith Barney was the second-largest brokerage firm in the U.S. and made money not only by stocking client portfolios with its own actively managed funds but also by getting paid by fund companies to sell competing products. When Dimon gave Ferri a flat-out no, the latter drafted plans to launch one of the first advisory firms that would use index funds exclusively and provide advice for a fraction of what firms like Smith Barney were charging. In 1999 he launched Portfolio Solutions on the twin convictions that active managers face almost insurmountable obstacles in their quest to beat the market and that low-cost index funds give investors a much better chance of investment success. Ferri, whose $1.4 billion firm charges some 30 basis points annually for advice and primarily uses Vanguard funds, has spent 15 years spreading Vanguard founder John (Jack) Bogles message that costs matter  and inspiring a deluge of imitators. Last year low-cost advisers like Ferri, as well as their highbrow counterparts at big brokerage firms and wealth managers who belatedly bought into index funds, were responsible for half of Vanguards new assets. Now Ferri and other advisers are worried that they will have to compete with Vanguard after it formally launches a new, low-cost, computer-­based advice service that is fully integrated with certified financial planners employed by the firm, with whom clients can speak over the phone or via video applications. Vanguard CEO F. William (Bill) McNabb III plays down their concerns, emphasizing that his firm isnt opening any branches and that the service is targeted at do-it-yourself investors who dont need or want to sit across the table from an adviser. He does concede that Vanguards new service raises the bar for all competitors by generating customized advice and offering financial planning for investors based on their specific tax situations and multiple goals, all at a low cost. 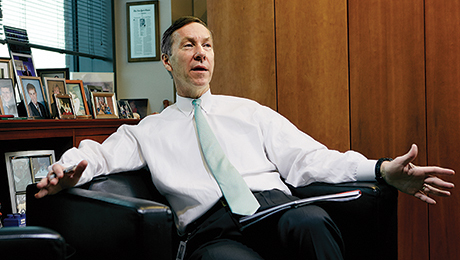 People are kidding themselves if they think theres not going to be more price competition among advisers, says McNabb, 58, who took over as Vanguards third-ever CEO right before the financial industry imploded in 2008. Together with Vanguards ongoing effort to distribute low-cost active and passive funds through advisers, the new virtual advice service represents a key part of the firms strategy for the years ahead  which it extols with its trademark messianic zeal. McNabb and his team are transforming the business of providing advice to investors, which competing financial firms, including investment banks wealth management arms, have been targeting as a rich area for expansion six years after the financial crisis. With no brick-and-mortar investor centers, Vanguard will continue its campaign of providing exchange-traded funds  its ETF line recently became the second largest in the U.S.  and other traditional investments to independent advisers and those at regional and national brokerages. But with Personal Advisor Services, staffed with Vanguard employees who are financial planners, clients can bypass third-party advisers altogether. Its a move that has some wealth managers on edge after years of preaching the gospel of low-cost, diversified index funds and helping Vanguard sear its message into the minds of investors. Though its still being piloted, Personal Advisor already has $10 billion in assets, about half of which came from its existing advice service. Vanguard, whose mutual structure means it is owned by its funds and charges fees to cover costs, is unswayed by the concerns, believing that financial middlemen offer valuable guidance but sometimes take more than their fair share of investors wealth. Instead, firm executives stress that advisers will continue to play an important role for investors, especially the wealthy, who want hand-holding and guidance provided by a human being in the same room. Just like the role it has played in the fund world in pushing competitors to cut costs and address thorny issues such as paying advisers to sell certain products, Vanguard is hoping its move into advice will raise the consciousness of investors and push the industry to provide a broader and better range of services. The advice initiative, including selling through intermediaries, is a natural next step for the firm whose retired founder continues to rattle asset managers with his fiery criticism of the industrys conflicts of interest and marketing tactics. While experts continue to do battle on the question of whether actively managed investments can beat their passive counterparts, Vanguard has won the argument. Forty years after Bogle pioneered the index fund, investors are choosing passive strategies over actively managed funds in every U.S. equity category and increasingly in bonds, according to Chicago-based fund research firm Morningstar. It may have taken decades, but investors finally understand Vanguards message that the high costs that accompany actively managed funds chew through their investment returns. Active asset managers are on the defensive. Even those that have delivered positive returns after fees are desperately trying to come up with ways to stay relevant as their products lose their luster. Vanguard is in an enviable place. It now has $3.1 trillion in assets  more than double the $1.4 trillion it had in 2009  and 20 million clients. The firm has been a beneficiary of the financial crisis, as investors have rethought the value of asset managers, which failed to protect them from the carnage but charged them high fees anyway. Vanguard has enjoyed $651 billion in net cash flows over the past five years. Thats more than the next six largest winners combined over the same time period. BlackRock took in $223 billion; State Street Global Advisors gained $146 billion; and Dimensional Fund Advisors, a firm that uses a mix of active and index strategies, had $86 billion in net inflows. Between 2007 and 2014, assets managed by third parties at Vanguard grew from $260 billion to $1 trillion and the retirement business more than doubled, reaching $724 billion. The firm has the largest target date retirement fund lineup in the U.S., with $306 billion in assets. Although Vanguards non-U.S. operation has been overshadowed by the growth of the firms domestic business, it, too, has increased, to $244 billion in assets, up from $108 billion in 2007, putting it among the top global players. Investors outside the U.S. are drinking the low-cost Kool-Aid, and Vanguards ETFs are the fastest-growing lineup in Europe. And the firms traditional base of direct investors is still powerful: Last year was a record for Vanguard as 260,000 new investors came on board. Indexing has been behind the firms growth, but its active management business also has been gaining assets (unlike competitors), even though its now a smaller part of the firm  33 percent, versus 58 percent in 2008. Low costs have helped Vanguards active equity funds perform: 93 percent of them outperformed their Lipper peer group averages over five years, and 95 percent beat rivals over ten years. Now Vanguard is ready for phase two of its mission. Some of its old guard have retired, and one third of McNabbs senior leadership team has been added since 2009. R. Gregory Barton, head of the institutional investor group, who joined in 1982, left in 2011; George (Gus) Sauter, the firms longtime chief investment officer, retired two years ago; and Michael Miller, head of planning and development, who was recruited by McNabbs predecessor John Brennan, will leave later this year, as will Paul Heller, who headed the retail investor group and has been with Vanguard for 31 years. McNabb has been mentoring the next generation of executives, who will help the advice strategy. Martha King, 51, who has been running the financial adviser division since its launch and will shortly take on the institutional group, continues as part of the CEOs leadership team. Christopher McIsaac, the 40-year-old head of the institutional business, which includes defined contribution plans, is moving up, succeeding Miller. Karin Risi, 42, who oversaw the development of Personal Advisor, takes over retail, and Thomas Rampulla will head Kings adviser division, after having led the U.K. and European businesses. Remarkably, most of these executives have spent almost their entire careers at Vanguard. Vanguard is entering a fairly crowded world of robo advisers that includes Charles Schwab Corp., Financial Engines and Wealthfront. Fidelity Investments currently has partnerships with Betterment and LearnVest and may launch its own service. The robo advisers typically use online questionnaires to determine asset allocations and technology to make tax decisions like selling losing positions to offset portfolio gains. Some offer access to real people, but none provides a fully integrated service like Vanguards. However, all are cheaper than a human adviser an investor might find at a broker-dealer like Morgan Stanley, who could charge 1 percent annually, say, on top of a portfolio of mutual funds costing another 1 percent. Vanguards Personal Advisor, with an all-in cost of 30 basis points, carries a lower price tag than the rival services, most of which hover between 40 and 50 basis points. Still, broker-dealers dominate, with 42 percent of all traditionally advised assets, according to Boston-based research firm Cerulli Associates. UBS, Bank of America Merrill Lynch and Morgan Stanley are the top three, reports Goldman Sachs Group. Broker-dealers are increasing their use of index funds to lower their total costs, but the firms are as aggressive as ever in advice, as its one of their most lucrative opportunities. In its first few decades, Vanguards mission was fueled by the raw deal investors were getting from money managers. Now the firm is focused on improving the value of advice. Though the advice business is growing as baby boomers approach retirement, human advisers dont always provide the best value. In a University of Chicago Booth School of Business research paper published in November 2014 that used unique 19992012 data from four large Canadian financial firms, researchers found that advisers created portfolios more aligned to their own needs than their clients and induced them to take extra risk. The authors found that the average client paid more than 2.7 percent annually, wiping out all the gains. Financial services is not the only industry that is seeking to offer the same, or better, services digitally and at a lower price point. Former Apple CEO John Sculley is one of the investors behind MDLive, which offers access to doctors and therapists through mobile applications, the phone, e-mail and video. Just as Vanguards certified financial planners can use client information and real-time input to make recommendations, doctors on MDLive can share data and lab results and assess a patient anytime. MDLive was prompted by skyrocketing costs in the health care industry; Vanguards entry was prompted by investors need for financial advice at a time when, for the first time in history, most people are planning their own retirements. Even with all of Vanguards success with its adviser business, McIsaac points out that the firm had a record year in 2014 in terms of the number of households that came to Vanguard to invest their money directly. These are individuals who have seen an ad online or talked to their neighbors about Vanguard, he says. Jack Bogle founded Vanguard 20 days before reading a paper published by Nobel economic sciences laureate Paul Samuelson in the first Journal of Portfolio Management, in 1974. In JPM, an Institutional Investor sister publication, Samuelson outlined a fund that would track the S&P 500 index. The now-85-year-old Bogle believed that the shareholder-owned firm he had just founded (after being famously fired from Wellington Management Co.) could win over investors with a low-cost fund. He was convinced that other money management firms would never offer index funds because they couldnt make enough money to please their stockholders or corporate owners. In 1975, Vanguard filed paperwork for First Index Investment Trust, the worlds first index mutual fund, and a year later the firm had raised $11.3 million in capital. But the sum was too small to purchase round lots of every stock in the S&P 500. It took Vanguard almost seven years to become a viable venture, and only in 1984 did another company  Wells Fargo & Co.  introduce a competing index fund. McNabb, who had worked as a credit analyst at Chase Manhattan Bank after earning his MBA from the University of Pennsylvanias Wharton School, joined Vanguard in 1986. He quickly took a leadership role in the fledgling defined contribution group, and by 1989 he was running marketing and strategy for what is now one of Vanguards most successful businesses. In 1995 he took over the entire institutional group, which King will soon be running. McNabb credits Sauter with seeing the potential for ETFs early on. Sauter says he started thinking about them in 1996, when State Streets SPDR ETF, which tracks the S&P 500, was three years old. But Bogle was chairman, and the firm opposed the new products, believing they would encourage investors to trade frequently. In 1997 and 1998, during the Asian and Russian debt crises, Sauter thought ETFs could play an important role as a release valve of sorts. Having witnessed the crash of 1987, when his career at Vanguard was only two weeks old, he was convinced that ETFs could be a vehicle for shorter-­term investors who might want an easy exit from the market. With traditional mutual funds, investors get the end-of-day price, whereas ETFs can be sold at any time during the trading day. After ten months of research and Bogles retirement as chairman, Sauter brought the idea to Brennan, and within a month they had proposed it to the board. In 2001, Vanguard launched its first ETF. But it wasnt until a few years later, during a dinner with six advisers in Chicago, that Sauter realized ETFs true appeal for their segment of the market: The advisers told him they liked the fact that they could place an order to buy or sell an ETF just like they could for any stock or bond. Brokerage systems were designed for trading, and if these advisers wanted to buy a Vanguard mutual fund, they had to separately call the firm and wait until the end of the day before they could find out such essential information as the price and the number of shares in a transaction. I didnt think it was a great new product, Sauter says. I saw it as a new way to distribute an old product. And with 75 percent of the fund market controlled by advisers, Vanguard couldnt ignore the opportunity. In 2003, Vanguard pulled the plug on the custody platform that smaller advisers used to support their businesses, thinking the service required too big of an investment to effectively compete against dominant firms like Schwab. Instead, the firm started focusing on distributing funds through advisers. For Vanguard, which had no sales culture  a total of four salespeople called on bank trust departments  this was a huge departure from its roots. The firm benefited from the move toward fee-based advice. In a commission-­based world, advisers are paid through weirdly named fees like front-end loads and the 12b-1 distribution fees embedded in mutual funds. Vanguard never attached those fees to its funds because it sold directly to investors, and it wasnt about to do that now. But with fee-based accounts, brokers charged clients directly for their guidance based on the amount of assets they managed, so Vanguard wouldnt have to. McNabb became CEO in 2008, shortly before Lehman Brothers Holdings filed for bankruptcy. Investors flocked to Vanguard, whose reputation Bogle had burnished as representing the middle class and willing to take on vested interests. While competitors laid off staff amid the stock markets 40 percent decline, McNabb created teams from the couple hundred people in his firm who were idled by the lack of investment activity and sent them into departments to solve problems that had been overlooked during the boom years. Vanguard used the downtime to invest in a handful of initiatives  including growing its ETF and target-date-fund businesses, selling through advisers and expanding internationally  so it would be ready on the other side of the crisis. In an unprecedented move for the firm, it seriously negotiated to buy iShares, the ETF business of Barclays Global Investors, which parent Barclays put up for sale in 2009 and was ultimately purchased by BlackRock. McNabb passed on the deal because he felt the price was too high. In the years following the crisis, Vanguard grew its sales and product support teams for advisers by almost one third, invested in new funds and enlarged its ETF lineup. The firm also expanded its online investment tools, including one that advisers could use to model the equity portions of their clients portfolios. Vanguard plowed money into its target date funds, investor education and a new brokerage technology platform. Vanguards adviser strategy worked: The firms ETF assets nearly doubled, to $91 billion, from 2008 to the end of 2009. By the next year it was grabbing a bigger share of new money from investors than either BlackRock or State Street. Vanguard had reached $246 billion in ETF assets by the end of 2012 and by February of this year had hit $455 billion, second only to BlackRocks iShares, which has $1 trillion in ETF assets. Advisers also embraced Vanguards traditional index and active equity and bond funds, which represent about one half of the firms total in advised assets. King is particularly proud that investors arent rushing in and out of Vanguards ETFs; its a sign that the firms funds are still attracting longer-term investors. Vanguards adviser business was able to capitalize on monumental changes happening in brokerage. In 2005 only 34 percent of advisers revenue came from fee-only or fee-based clients, according to Cerulli. Last year 66 percent came from those segments. Using Vanguard funds was a pragmatic decision for these advisers: Low-cost, high-quality product becomes really important with fee-based accounts, says King, who worked for McNabb when he headed the institutional group in the 1990s. Vanguard has also had enormous success in target date funds, a fact that illustrates the momentum of index funds and why active managers have struggled in the past six years. Target date funds gained popularity when U.S. companies finally conceded that defined contribution plans, not defined benefit pensions, would be the primary source of income for retirees. Although Vanguard had been big in retail mutual funds, smaller, specialized asset managers as well as some large firms dominated the pension market. 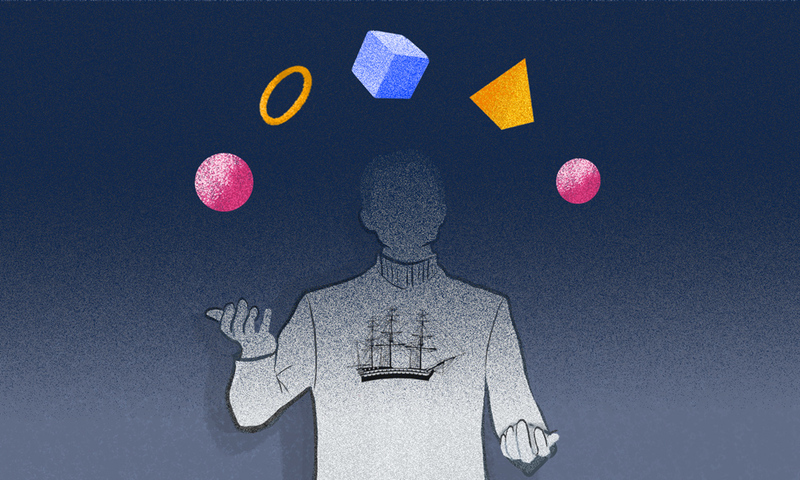 As the switch to 401(k) plans gained speed, private companies started using tricks from behavioral economics to get employees to make better investment decisions. They eliminated the hundreds of fund choices they had once offered, which had only confused people and sometimes paralyzed them. They began organizing options into three tiers to prompt people to choose more-diversified investments. The first option was target date funds. That was followed by a streamlined selection of individual index and actively managed funds that could be assembled into portfolios. The third level was a brokerage window for more-sophisticated investors. Companies also frequently made target date funds the default option after government regulations started allowing that in 2006. Target date funds took off. The market has been dominated by Fidelity, Vanguard and T. Rowe Price, which together account for roughly three quarters of all target date fund assets, according to Morningstar. Unlike Fidelity and T. Rowe, both known for their actively managed funds, Vanguard has achieved its success using a passive strategy, which companies have increasingly seen as a supersafe, Who could criticize me for choosing index funds? option. That logic extended to situations where plan sponsors needed to move participants assets from active funds that had been eliminated. Instead of linking them to a new active fund, they often recommended an index alternative. Passive target date funds were starting to rack up longer-term track records, and the index versions performance looked a lot better than that of actively managed portfolios. As the target-date-fund default became the most popular option in 401(k) plans, another issue popped up that worked against active managers: sheer volume. If theres one thing that can hurt a managers ability to outperform the market, its having more money than good investment ideas. Even Vanguard doesnt believe it can put its actively managed funds into target date vehicles; its institutional managers dont have the capacity to handle the amount of money that is flowing in. Though some advisers worry about Vanguards Personal Advisor, target date funds in many ways already have transformed the advice business. The preset portfolios, which mix asset classes based on a shareholders planned retirement date, have advice built into them. As investors have gotten comfortable with these funds, theyve come to expect a lot more from intermediaries. Ferri intends to compete by going both upscale and downscale. Later this year he will launch full-service financial planning for upper-income clients for 75 basis points, as well as cheaper, more automated guidance for investors with smaller portfolios. He says hell also have to do a better job of educating clients about the differences between his and Vanguards offerings. Vanguard is using only its own funds (although it will plan around existing holdings), whereas Ferri stocks client portfolios with products from both Vanguard, which he believes offers great basic exposure to the markets, and Dimensional Fund Advisors. Austin, Texasbased DFAs funds have a smart-beta tilt: The firm tweaks its benchmarks to screen out certain stocks and sectors it doesnt like. But a phone interview with Vanguards Risi  who oversaw the build-out of Personal Advisor and will shortly run all of retail, under which the service will fall  makes it clear that Ferri and other advisers will have to work pretty hard to compete against her firms offering. Risi joined Vanguard in 1997 after beginning her career as an investor relations analyst for Sunoco. She says Personal Advisor was designed for investors in or near retirement who had no idea how to do complicated planning, such as generating an income from their savings. Although Vanguard had ongoing advice for investors with $500,000 or more, it had nothing for the millions of its clients who didnt meet that minimum. When Personal Advisor is formally launched, it will have four tiers. The first will encompass investors with $50,000 to $500,000; the second, those with assets between $500,000 and $1 million; the third, people with more than $1 million; and the fourth, ultrahigh-net-worth investors with $5 million or more. Individuals in the first three groups will pay the same fees (ultrahigh-net-worth individuals will get a slight break), but every client will get advice based on the same technology and capital markets model. Clients with at least $500,000 in assets will have a dedicated adviser. Vanguard has tested a few digital advertisements on its site, but new Personal Advisor clients have largely come in through word of mouth or after talking to a phone representative about a routine issue. Risi says that at first most clients used the phone to reach their advisers, but now videoconferencing has become increasingly popular, especially as the firm has implemented easer-to-use technology. One of the big challenges for Vanguard is the human component of the service. The firm has several hundred certified financial planners on staff, but it needs to hire more to meet expected growth. Advisers need to focus on lowering costs and determining whether they are spending too much time building portfolios rather than attracting new clients and making sure their services stand out from the crowd, King says. Although many advisers use technology in their back offices, she adds, they may need to embrace applications like video, especially as younger clients come on board and demand everyday innovations enabled by their smartphones. Vanguard is a big believer in the value of advice and uses the word alpha to describe the benefit to investors. Advisers, its research shows, can add as much as 3 percentage points in net returns to investors portfolios by providing things like discipline and getting people to focus on the right asset allocation rather than the right stocks. McNabb says the day before the equity markets hit their nadir, in March 2009, his mother called him, saying she was ready to sell everything. The Vanguard CEO persuaded her not to do that, but he says shes typical. If an adviser keeps an individual from harming him- or herself and bailing when the market is down, clients can earn back that fee and then some, he adds.